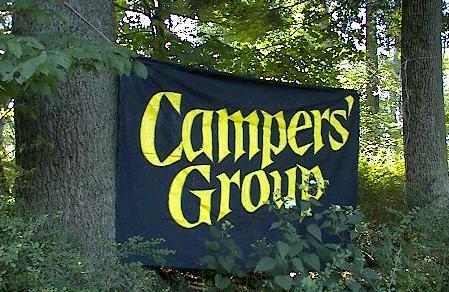 Campers' Group is a club that organizes camping, cabin, hiking and ski trips, mostly in NJ, NY, PA and CT, and within a three-hour drive of the NYC metro area. We welcome singles, couples and families, experienced campers and newbies, to camp and hike with us. You can also join us on meetup.com or like us on Facebook. Beautiful, wild, forested islands offering wilderness camping and some of the best recreational boating in the Adirondacks, Indian Lake Islands Campground is located on the southern shore of 4,365-acre Indian Lake. The opportunity to camp on an island or along the shore of Indian Lake makes this one of the most popular camping destinations in the Adirondacks. All of the large, well-forested campsites offer privacy. Indian Lake Islands Campground offers a variety of recreational opportunities, including canoeing/kayaking and boating, hiking, fishing, and picnicking. There are plenty of canoes to be rented at the campground office on the mainland. There are also 2 double kayaks and 1 single that are first come first serve. It is approximately a 3-1/2 to 4 mile paddle from the boat launch to our island. We have reserved 3 campsites on an island north of Moose Island. When you RSVP, you will be given additional information on site numbers and exact island location. Each site has a picnic table and firepit, and is limited to 6 individuals. The exact number of tents allowed are to be determined. Only smaller tents will be allowed on this trip, no tents larger than 8' x 8'. Backpacking tents are preferred. Additionally, hammocks are allowed. RSVPs are per tent/hammock, NOT per person. Pit toilets are available at every site on the island. 2 shower/bath houses are available for use on the mainland at adjacent Lewey Lake Campground (just show your Indian Lake Island permit to be let in). Firewood can be purchased at the campground office or at a local vendor, and then will need to be transported, along with all water, across the lake to the campsites. WE WILL BE THE GUEST OF A LONG-TIME INDIAN LAKE CAMPER THAT IS GENEROUSLY ALLOWING US TO USE A PORTION OF HIS RESERVATION FOR THIS TIME PERIOD. PLEASE RESPECT THE ISLAND HABITAT, AND FOLLOW A STRICT "LEAVE NO TRACE" POLICY: https://lnt.org/learn/7-principles. This is a RAIN OR SHINE EVENT, unless the host or organizer indicates otherwise. For immediate inclusion, pay $35.78 via PayPal on the meetup.com page for this trip. We have reserved the spacious group campsite on Lake Ashroe. This renovated large and open campsite has 8 picnic tables, 8 grills, and 2 fire rings. The site also offers easy lake access for paddling and fishing (NJ fishing license required), but no swimming in this lake. Bring your own kayak or paddleboard, or rent on site. Swimming is permitted at Stony Lake in another section of the park. Great hiking is available by climbing up the ridge from the campsite to the Appalachian Trail, or hiking over to Tillman Ravine and Buttermilk Falls. Private bathroom/shower rooms are on site. RSVPs are PER PERSON, NOT per tent. This is a RAIN OR SHINE event. The lake and campsite location is here. To reserve a spot, send a check for $15.25 made out to Campers' Group, to: Campers' Group, 48 S. High Street Mt. Vernon, NY 10550. Once the organizer or a trip leader is notified of receipt of your check, you will be added to the RSVP list. For immediate inclusion, pay $15.95 via PayPal on the meetup.com page for this trip. Please contact the trip leaders on or after May 1. Join us for a river camping adventure! This 2 night outing requires that you either have a canoe or kayak, or privately arrange with an outfitter to rent one. For those of us with a river worthy canoe or kayak we will be meeting at the Milford Beach Boat Access on Friday, leaving at 10:00 AM. There will be a $10 per day (or $30 total) charge to park here. We will then load our boats and get on the river from the boat launch/beach. If you are arranging to rent a canoe/kayak, you will need to be ready to go from here by 1:00 PM. Friday and Saturday we will paddle for 3-4 hours each day depending on water levels, wind, group abilities and amount of non paddling time. Camping will be on a primitive sites in the Delaware Water Gap National Recreation Area. These sites contain no amenities other than a fire ring. Tent space is limited, please share if possible. Sunday will consist of between 2-3 hours of paddling to the Smithfield Beach Boat Access where we will take the River Runner Delaware Water Gap shuttle back up river to our cars at Milford Beach. Our goal is to catch the 11:40 a.m. shuttle Sunday morning to Milford Beach. The shuttle will take our boats and gear. You will be required to bring all items needed to camp, such as a tent, sleeping bag, food, water etc. Everything will need to be packed in your canoe/kayak. Sharing of boats , equipment and supplies needs to be preplanned and prearranged. There are no options for purchasing items while on the River. This section of the Delaware River contains mostly class I rapids and possibly some class II rapids depending upon the water level. You need to have some river paddling experience. There is an inherent risk with river boating, some paddling skill and knowledge is necessary. A poor weather forecast or poor river conditions will cause this trip to be cancelled or postponed. The hosts, and only the hosts, will announce or even discuss any weather forecasts on the trip page. PLEASE, do not post any weather-related comments. If you must discuss, please message the hosts privately. When you RSVP, you are paying for one tent, and remember, space is limited. To reserve a spot for one tent, send a check for $20.00 made out to Campers' Group, to: Campers' Group, 48 S. High Street Mt. Vernon, NY 10550. Once the organizer or a trip leader is notified of receipt of your check, you will be added to the RSVP list. For immediate inclusion, pay $20.92 via PayPal on the meetup.com page for this trip. Please contact the trip leaders on or after May 4.